The Imports from Colombia to Albania have seen a strong growth over the last three years. According to Albanian Institute of Statistics (AIS or INSTAT) data, in 2018, goods worth about Lek 2 billion were imported from Colombia, with an increase of 136% compared to the previous year, whereas by 2015 they were negligible. 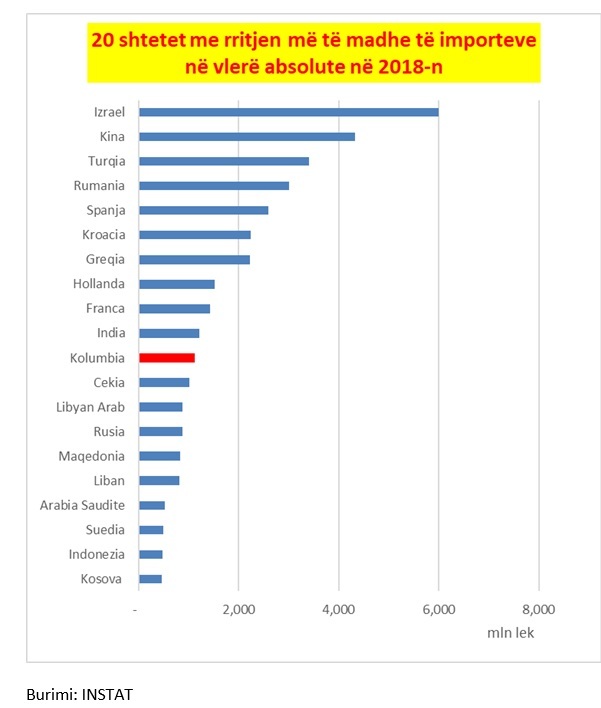 Although in absolute terms, the goods Albania imports from Colombia are low, as the 41th partner out of 242 countries in 2018, the growth was very strong. But according to AIS data, Colombia ranks 1th behind in absolute value after Israel, China, Turkey, Romania, Spain, Croatia, Greece, the Netherlands, France, India. 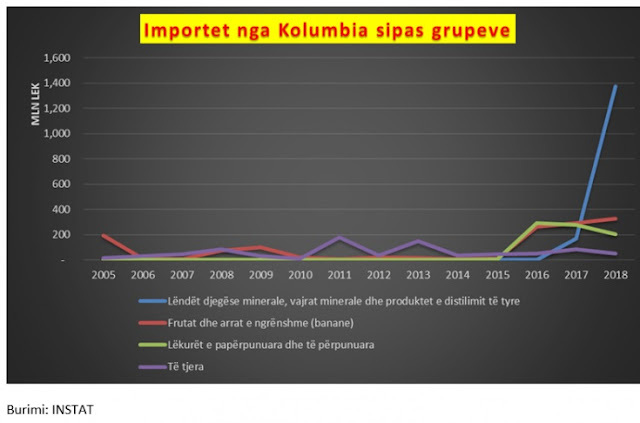 By comparison, the increase in imports from Colombia is twice as high as those of the neighboring country, Kosovo. If we look at the array, there are three main groups that have influenced this strong growth. Originally, they were "fruits and liquid walnuts", where the main voice was bananas, as well as "raw and processed skins". Banana imports increased 21 times in 2016 compared to the previous year and continued at high rates in 2017 and 2018. 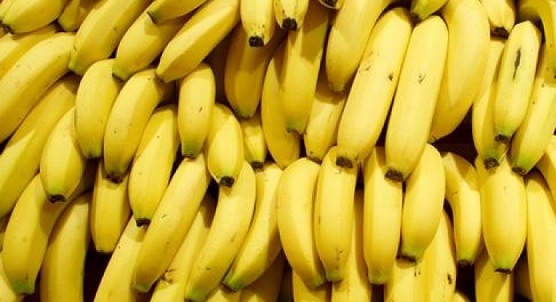 In 2018, banana imports were 327 million leks, an increase of 11% on an annual basis. We recall that in February 2018 a container of bananas from Colombia, where 613 kg of cocaine was hidden, was seized at the Port of Durres. Even for "Raw and Processed Leather" the imports began in 2015 to jump in 2016 from Lek 7 million to 294 million , while in 2018, this group of goods marked a decline of 25%. But while the two groups "Liquid Fruits and Nuts" and "Raw and Processed Leather" slowed the pace in 2018, another product has jumped, affecting the strong growth in imports in 2018. AIS data show that it is about "Mineral fuels, mineral oils and their distillation products" and, concretely, according to Comtrade's most detailed statistics for the coke and coal sub-group, "Coke and semi coke of coal, lignite or coal, converted carbon". This product began to be imported in 2017, with Lek 170 million, leaping in 2018 at nearly 1.4 billion.